Staging With Style is a home staging company, headquartered in New York City. We offer staging and interior decorating services to home owners, real estate agents and developers. Although Ellen has worked on Wall Street for twenty-five years, her friends and family have always counted on her for help with interior decorating. It just came naturally and it was something she loved to do. In 2016, she founded Staging With Style, a home staging company serving New York City. A native New Yorker, Ellen was fortunate to be raised with good taste and design sense. One of her impressionable childhood memories was the family’s interior decorator from W & J Sloan, an upscale furniture store in midtown Manhattan. Even though her mother had impeccable taste, she never made a decorating decision without consulting this design expert. Having a keen eye for design and quality, Ellen also loves to shop and explore all kinds of stores in New York City as well as abroad. She gets creative inspiration from color, fabrics and style and loves the process of experimenting with furniture placement and mixing existing pieces with accessories, colorful accent walls or vintage finds from flea markets. Our consultation is usually 2 hours but can take longer depending on the size of the property. Your investment varies depending upon the location of the property and the amount of time. While some homeowners take our recommendations and do it all themselves, a consultation is required before we are engaged to stage an owner-occupied home. We stage occupied as well as vacant or model apartments. NYC&G April issue featured Cricket Burns, The Jusher, of CricketsCrush.com and her New York City apartment on the cover and a 8 page layout inside. April 2014 also marked the month she began Cricketscrush.com and her unique home decorating service she coined Jushing. CricketCrush.com has two business to help make your home more beautiful. The website is an ecommerce store for those seeking to purchase from Cricket's Consignment Warehouse. Or, Cricket offers her unique Jushing home decorating service. Jushing is Cricket's "in and out" home decorating/styling service she provides to clients seeking a refresh or total make-over of their home. Cricket uses treasures from her consignment warehouse to competed many projects. The Crush Mobile arrives loaded with furnishings she's picked from her inventory. After a day of working with the clients pieces mixed with her picks, the job is done. Clients are blown away. Jushing is decorating on steroids. Cricket has been feature in Beach Magazine, she was a 2015 Hamptons Designer Shophouse Decorator and formerly a magazine fashion editor and stylist for Avenue, Quest and Harpers Bezaar. CricketCrush.com is not just shopping. Cricket has been a stylist and fashion editor in NYC for 30 years. She started cc.com to be her own tastemaker site. The home decor and fashion she sells are pieces she personally picked. Manhattan's Luxury Interior Decorating and Home Staging Company | BOH! With a sharp eye for interior design trends as well as a close pulse on the real-estate market, we serve our seller, agent and developer clients by offering unique interior design solutions. We collaborate with developers, sales and marketing teams as well as construction, to create optimal selling conditions in time for viewings by potential buyers. We take care of product placement and merchandising for exquisite finishing touches that create a charming and charismatic feel that your viewers will be able to connect with and visualize themselves living in. 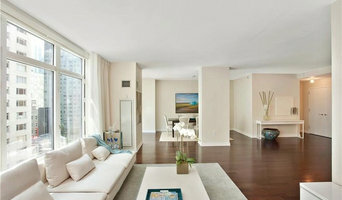 What does a Manhattan home stager do? 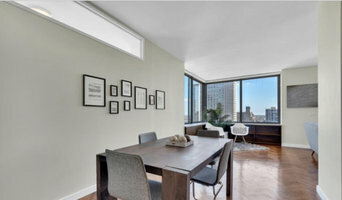 Home staging companies in Manhattan, NY employ a variety of different techniques to present the home in the best light possible. The first step will likely be to make sure the home is impeccably clean, including the exterior of the house. Next the home stager will work on removing the personal touches that are unique to the current owners. Paint colors might go from dramatic reds and purples to neutral tones like beige and taupe, in order to appeal to the masses. The home will likely be cleared of family photos, risqué artwork, collections and knickknacks, so potential buyers will be able to better envision their own life in the house. In some cases furniture will be swapped out, and you might not even recognize your own house. Some Manhattan home stagers tackle most of these tasks themselves, while others work with subcontractors and other professionals to get the job done. Here are some related professionals and vendors to complement the work of home stagers: Interior Designers & Decorators, Photographers, Real Estate Agents. The process of staging a home can be difficult for some homeowners, especially when being asked to change things you’ve poured your heart and soul into over the years; but try not to take anything personally, as the stager only has your best interest in mind and no intention of insulting your personal taste. Before you contact a professional home staging company in Manhattan, NY, make sure to consider a few things: Are you willing to change your home and take the advice of this professional to help sell your house? Do you think your house would greatly benefit from the help of a stager? How long are you comfortable having your home on the market? A staged home is likely to sell faster and, on occasion, at a higher asking price than a non-staged home. While there is no guarantee this will always be the case, it’s often true and can make the entire selling and moving process a lot less stressful in the long run. If you are selling through a real estate agent, it’s a good idea to get their opinion on whether staging your home would be beneficial to your specific situation. 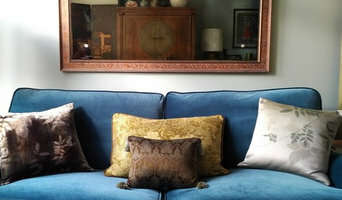 Find a certified Manhattan home stager on Houzz. Narrow your search in the Professionals section of the website to Manhattan, NY home stagers. You can also look through Manhattan, NY photos by style to find a room you like, then contact the professional who staged it.